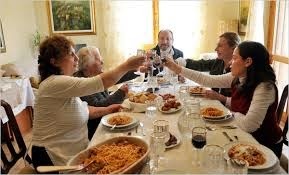 CHIAVARI, Italy - From Rome to Paris people are going out to eat, not at restaurants but in the homes of people just like you and me. Men and women who rely on traditional family recipes are cooking up the specialities of their region and offering them to strangers. They are not just your hosts, they are your chief cooks and bottle washers too. In Italy, the women are called Cesarine or if it’s the man of house who wears the apron, they are Cesarini. But man or woman, this type of activity was tailor made for Italians because everyone knows we are compulsive feeders by nature. 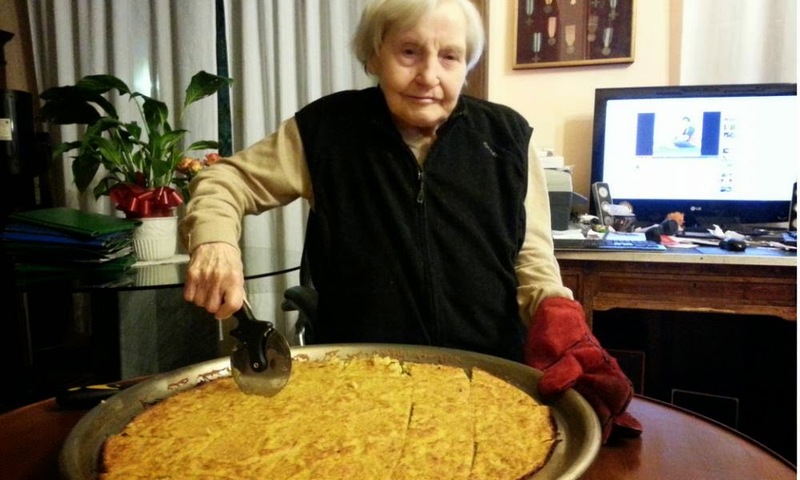 Ninety-six year old Signora Leonida Tomasinelli is a good example. She just opened Genoa’s first “home” restaurant where she cooks what she knows best. Her Genovese specialties include artichoke pie, ravioli, braised rabbit with olives, and of course focaccia al formaggio and farinata. Signora Tomasinelli - Genova's Only "Cesarina"
“Home” restaurant groups are small, usually no more than ten people, and because everyone generally sits at the same table, it’s easy to get to know your fellow diners. It’s more like going to a dinner party than a restaurant. A definite plus. The idea started out as an underground movement, and you could only find out who was cooking and where they lived from another person. But now that the idea has spread and has become very popular, it’s easy to find homes where they offer home cooked meals. Here in Italy an association called Home Food (http://www.homefood.it/en/) lists about 500 Cesarine. 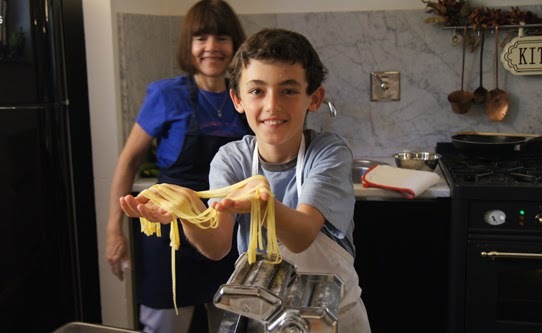 They are located all the way from the top of the boot in Piedmont to Sicily, so no matter where your travels take you, you are sure to find a Cesarina, and a delicious home cooked meal, nearby. You can book your culinary adventure via the Home Food website, but first you have to register - which is free - and then you will receive confirmation of your membership. Choose your location, date and time (lunch or dinner) and then check to see whether a Cesarina is available. Payment is via PayPal. Home Food will send you a confirmation of your reservation and payment with the address and phone number of your Cesarina. The cost for an evening meal is about 40 euros per person, wine included. Not bad for a real Italian meal cooked by an Italian Mamma in her own home using local ingredients and family recipes. 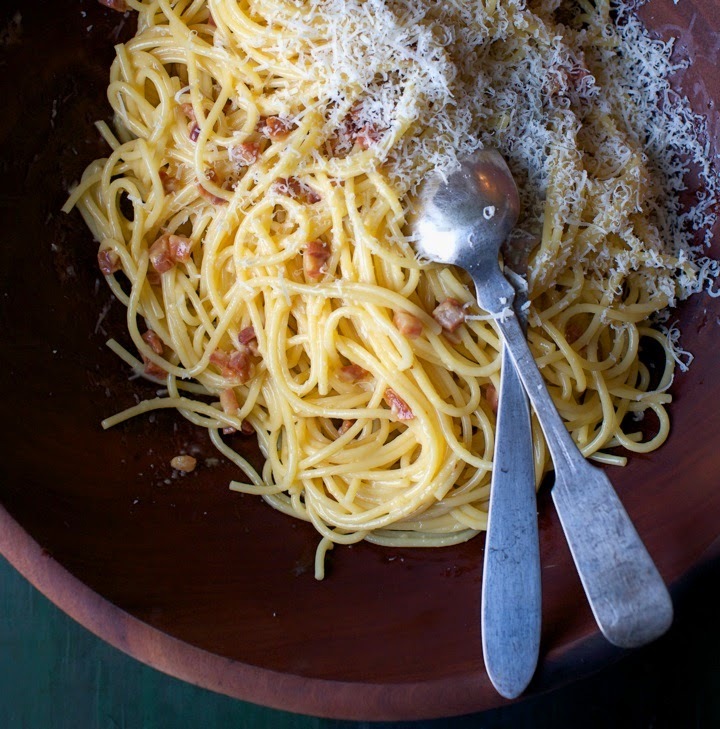 Is There a Spagetti alla Carbonara in Your Future? if you have a food allergy, please warn your host in advance. And last of all, don’t worry if your Italian isn’t the greatest - most likely your hosts’ English won’t be all that great either. But trust me, you will muddle through just fine. Truthfully the only words you really need to understand are “mangia, mangia” (eat, eat), “bevi, bevi” (drink, drink) and grazie (thank you), but I think you know those already.